Alpine’s first Honorary Mayor candidate for 2019 is Robert Laatsch, an Alpine Education Foundation director and Heartland Fire & Rescue captain! Laatsch, his wife Tamara and their two children moved to Alpine in 2010. The candidate is supporting the Alpine Education Foundation (AEF) and its “Wheel of Experts” program, which has provided an additional local 840 assemblies and labs this school year alone. Presented by the Alpine Chamber of Commerce, Alpine’s annual Honorary Mayor Race raises money for projects and causes that improve Alpine. Every dollar donated to a candidate’s campaign is a “vote.” The candidate with the most “votes” wins. Honorary Mayor is a volunteer position with no authority. The winner gets to promote his or her cause at Chamber events and activities. George Barnett, AEF Treasurer and Laatsch’s campaign manager, said fund-raising for the candidate will likely include promotions. Donations for Laatsch can be made directly by visiting the AEF4kids.org website or by the smart phone application,Venmo, @alpineeducationfoundation and by using #Robformayor as the tag. Candidates need to register now with the Chamber in order to have time to raise money. 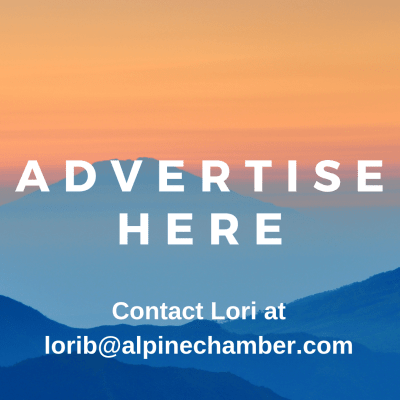 Applications are available online at www.alpinechamber.com or at the Chamber office in the Alpine Regional Center, 1620 Alpine Blvd., Suite.208. The deadline for submitting copies of “votes” to the Chamber office is 5 p.m. Friday, March 29. The winner will be announced April 13 at the Chamber’s new Spring Festival. Call (619) 445-2722 for details.